That's a line from a song, If by Bread. Odd name for a group, but then, a lot of groups in the 60s and 70s had odd names. 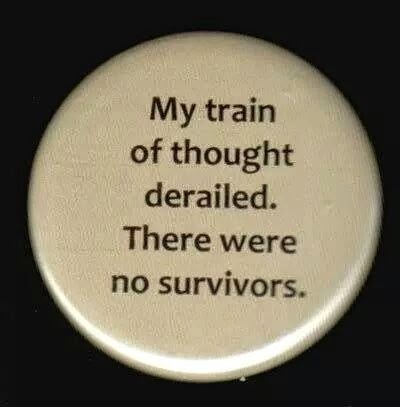 The rest of the line is "spinning slowly down to die." Scary thought, isn't it--the world dying? 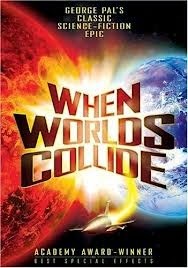 I've always loved disaster movies--I think it started with When Worlds Collide (1951), about a team of scientists who discovered a new earthlike planet, revolving around a star on a collision course with Earth--and their plan to save mankind from extinction. Though the special effects are cheesy by today's standards, the image of our planet being destroyed is downright creepy. The end-of-world theme has been a popular one in films: 2012, Armageddon, Deep Impact, The Day After Tomorrow, just to name a few. The History Channel's series, The Universe, has featured possible world-ending scenarios in some of their episodes. Last Saturday, I found a National Geographic documentary on Netflix titled Evacuate Earth. (It's also currently available on You Tube.) 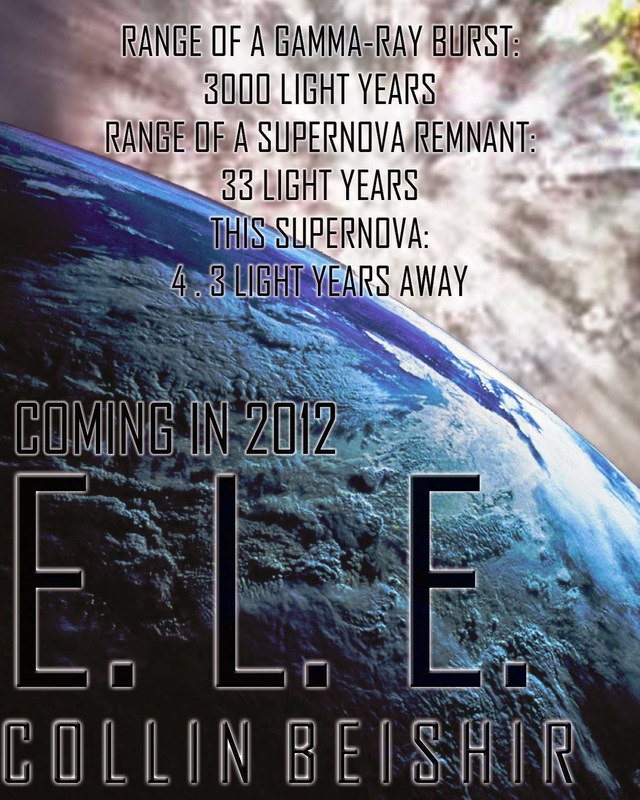 It's a mix of scientific fact and fictional what-if, involving a supernova that took place 60,000 years ago and the resulting neutron star, headed for our solar system. Humanity has 75 years to come up with a way to save itself. My first thought was: "75 years? I wouldn't be around in 75 years. Collin wouldn't be around in 75 years. Or maybe he would. People are living longer these days. And he might have children...grandchildren...."
The documentary covers how humanity might react to the prospect of the world ending...possible ways to save mankind from extinction...who would be chosen to be saved, since obviously evacuating the entire population wouldn't be possible...where the survivors might go and how they might get there...and how they might respond psychologically to losing friends, family and the only world they've ever known. I agree about NASA's budget! 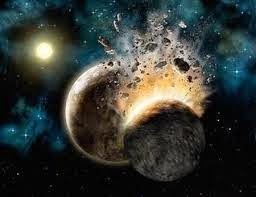 The only way our species is going to survive will be to find another planet to go to one of these days! If we humans could only stop squabbling among ourselves, we'd have the intelligence and resources to do it. That's the problem. We may well destroy ourselves before the planet is destroyed. Let it not be said that the human race is wise, though from time to time there are flashes of comprehension. For every genius, there are 500 morons. There is another series (History channel ?) about when everyone on earth is gone and what would happen on the world. It was super interesting. No people at all. This reminds me of the series I had such great hope for, can't remember it's name about when all the power in the world goes off. Interesting but flawed TV series. Don't even know if it is still on ? So funny today two blog wrote about time travel and your writing about worlds colliding. I love this. I am a nerd/geek ! Life After People? I saw that one! The fictional series you're thinking of is Revolution. It started off great...but jumped the shark at the end of the first season and was cancelled by the end of the second. The Armchair Squid, he has been reviewing Star Trek among lots of other thing. And Subliminal Coffee, a book review. We live in a cosmic shooting gallery, as the astrophysicists in the documentaries often say. There are so many things out there capable of destroying this planet...but I still think we'll end up doing it ourselves. We did have that near-death experience with that meteorite a few years ago. And it's supposed to visit earth again in... I dunno, 2027 or so. Cross your fingers we escape again. I think I might have seen that movie, but don't remember. Good subject, Norma. We have one scheduled to make a close pass tomorrow. Apophis is due on a Friday the 13th in 2029 and again on Easter Sunday in 2036. Fascinating stuff! I love these types of stories too. Hope your son keeps at it! Thanks, PK! He's still with it. For every genius there is 500 morons...hahahahaha..